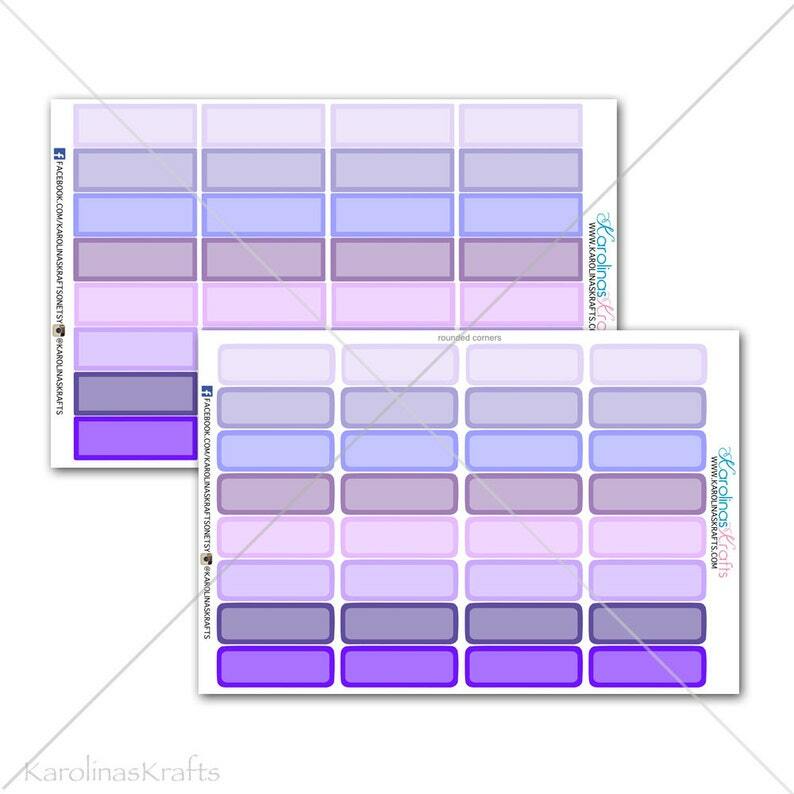 This set will include 32 label stickers/ functional planner stickers that will look great in your planner. These stickers are easy to peel and ready to use and are printed on your choice of paper, matte or glossy. Please don't hesitate to contact my shop if you'd like a custom order or something specific. I would love to make the perfect items for your planner! 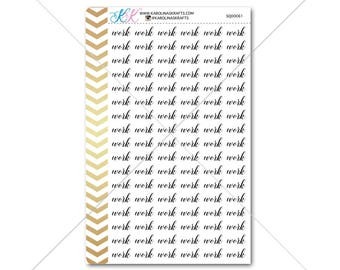 These stickers are a great way to decorate your planner, can also be used to decorate your scrapbook, or you can decorate anything else you'd like! ** Colors may appear different on screen due to monitor differences and when printed depending on the type of paper you choose. * This product ships through USPS with a tracking number! Thank you for visiting my shop! Please see our other listings if you are interested in specific colors and other sets! Love these, perfect for my planner. Shipped very quickly! Love it! It is small and works for my Louis Vuitton MM size agenda. I use the Filofax week on two pages diary size personal. I have been buying these wonderful weather stickers for years! Best I've EVER found for my planner! KarolinasKrafts is a super shop...great products, great prices, never, ever a problem...you can't miss! And I'll be back again I am sure! I accept all Etsy payments, including Paypal, credit cards, and Etsy gift cards. Paying with Paypal or a credit card are the fastest checkout methods. Please note that any requests that deviate from an original listing become a custom order and may incur an additional charge. I hope that you are happy with your purchase! If you are not 100% satisfied, please message me and return your items (at your own shipping expense) within 10 days of delivery, in the same condition, unused, and in original packaging. Once the items are in my hands, I will either exchange or refund your purchase, minus the cost of shipping. Any items and packages returned back to seller will be refunded minus the cost of shipping. We will not be responsible if your package is returned to us due to incorrect addresses or names on the package. If a customer would like the package mailed out again, it is the customer's responsibility to pay for shipping again. Note that I cannot accept returns on used or customized items. Customized orders includes any size changes, color changes, or orders made just for you. There are also no refunds on digital downloads, subscriptions, grab bags, washi samples, washi rolls, paper clips, and monthly sticker kits since those are time sensitive. If you have a question or concerns about your purchase, please message me and we will work something out. :) Happy customers = Happy me ! Please see the current shipping time before your package is shipped out (found in the shop announcement). You can check your ship by date on your invoice. Once it is shipped it is in the hands of the USPS. For any problems please contact them and provide them with your tracking #, they can give you up-to-date information on the status and location of your package. All products are sent First Class with a tracking number as standard shipping ! Shipping upgrades are available at checkout... however purchasing priority express for example does not necessarily guarantee it'll arrive when you want it to... the package is no longer in my hands once it is shipped and no refunds are given for packages that don't arrive in time as I am not responsible for that... I am also not responsible for any items that have been stolen... if tracking shows delivered, then to my knowledge it has been delivered. For international orders, there may be international customs fees that I am not responsible for. I will not lie on customs forms for the value of the package, it is illegal. Orders can only be cancelled within 24 hours of being placed or before a shipping notification is sent. After 24 hours/shipping notification production begins and orders can no longer be cancelled.